Google’s Speed Update: How will it Affect You? 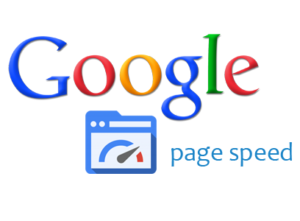 Page speed is something that we talk about quite a lot here at Footprint Digital. This is because the time it takes for one of your webpages to load, and for all of its content to be displayed, has been a search engine ranking factor for a long time – since April 2010. Search engines do not want to send their users to a page that’s going to take an age to load. We’re all busy people, and waiting for information in the era of immediacy and user experience is not something we’re prepared to put up with! What’s the problem with a slow site? Page speed is important for your website for several reasons. If you have slow loading times, then you may well struggle in search engine ranking positions for the above-mentioned reason. You might also have higher bounce rates (we’ve probably all bounced off a page before it’s had time to load!) Poor speeds on a very large website may also be problematic because it will take Google longer to crawl and index your site, meaning they can’t crawl as many pages in their allocated crawl budget as they would if your site speed was higher. Consequently, poor site speeds are a big problem. We’re been preparing ourselves for a fair few months now for Google’s latest announcement regarding site speed. This came on 17th January, when they announced that they would be using page speed as a ranking factor for mobile pages in search rankings. This means that nothing’s changing for desktop pages, but there may be a shift in rankings for mobile pages. The algorithm update will tackle pages delivering a poor experience because of their speed and the announcement gives SEO agencies, developers and website owners the opportunity to prioritise site speed for mobile before it becomes an official ranking factor. We don’t see this as something to be worried about – it’s an opportunity to better your mobile website for users. If your mobile website is already performing well, then it shouldn’t be affected, and for those websites that need a little help to perform better, then there are tangible things that can be done to help. The first thing you need to do, is check to see if you’ve actually got a problem with speed! Anyone can check the page speed of any website. Simply by entering a URL into Google’s PageSpeed Insights, you will be provided with some suggestions to make that specific page faster. You’ll be able to see the page speed for both the desktop and mobile versions. Google’s PageSpeed tool has recently had a revamp so that it uses data from the Chrome user experience report. This means it shows you how fast your pages load based on real user data, giving you an even better insight into your speeds. These are all things that the team at Footprint Digital can talk to you about. How Will the Update Impact SERPs? Google are fairly sure that this algorithm update will only affect a small percentage of queries, and as speed is just one of the ranking factors that search engines consider, it is not the be all and end all. For example, a site that is strong in all other areas will not suddenly fall off a rankings cliff in July if it’s a bit slow. However, if you want to provide a good user experience, regardless of your rankings, site speed is important, and should be a priority for you. If you’ve got any questions about the update, please contact your Relationship manager at Footprint, or pop us a message. ‘Speed has been a ranking signal since 2010 for desktop searches so it’s no surprise that Google are rolling this out to mobile searches – in fact some would say long overdue! The impact of the “Speed Update” will depend largely on the severity of speed vs user experience. If the speed of a mobile page is very poor and leads to a poor user experience, then it’s likely to suffer when the update rolls-out. Webmasters/developers should be focused towards delivering a fast user-experience in all scenarios – desktop and mobile. Bear in mind that this is an algorithmic change therefore no warning will be provided (i.e. notifications via Google Search Console), so developers should act now to measure and improve speed, be that through technical enhancements or newer technologies such as AMP, PWAs, PWAMP’.